San Clemente – WOW – Look At Us Now! In an effort to explain what our life is like here in San Clemente, Ecuador we often compare the pace of life and the climate to something like we imagine life was like in Orange Country, California in the nine-teen fifties. Only we have cell phones, internet, and satellite television. We do not know if that fully explains it, but looking at a picture taken of Anaheim, California on Disneyland’s opening day in 1955, we guess the comparison might be fairly accurate. 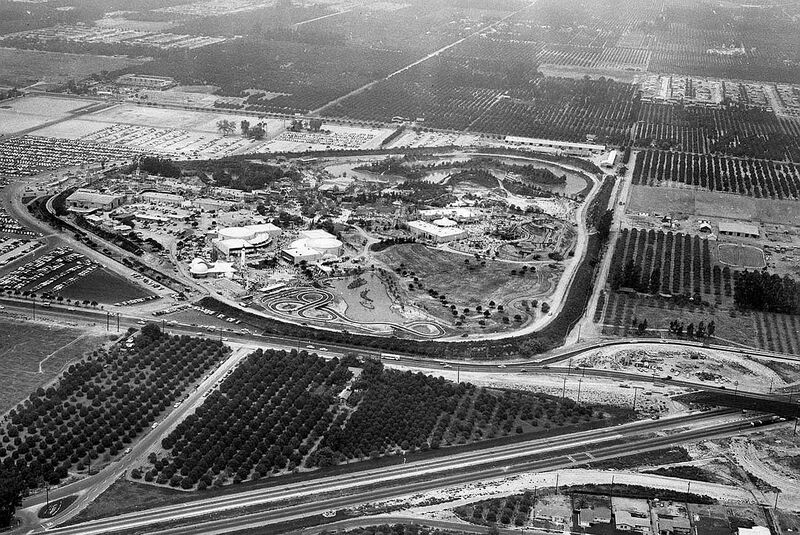 July 17, 1955: Disneyland opening aerial. In foreground is the still-unfinished Santa Ana Freeway. The Harbor Blvd. intersection is on extreme right. Mostly rural areas with fields of crops and little in the way of large buildings and developement.